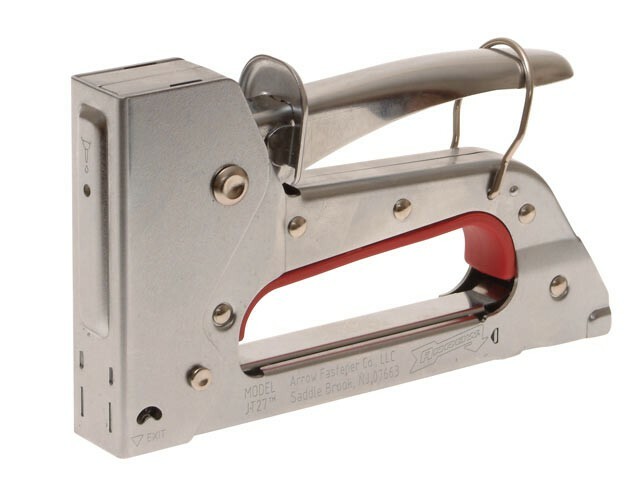 The Arrow JT27 Junior Staple Gun Tacker with all steel construction and chrome finish. A light-duty bottom loading staple gun ideal for use on upholstery and general use. The staple exit indicator aids the user when precision accuracy is required. Comes with a 90 day limited warranty. Fires: JT21 Staples: 6, 8 and 10mm.